See additional images below for more details. 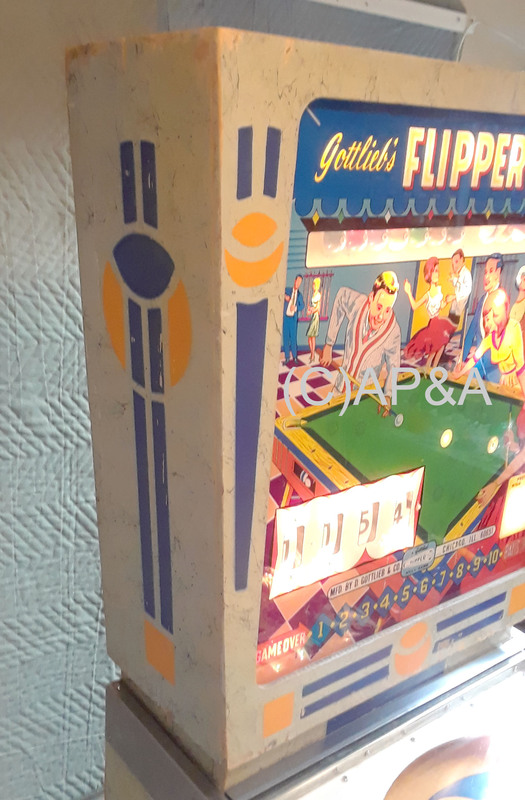 Classic single-player wedge head pinball made by Gottlieb in 1965. Fairly rare game- only 700 units were made. 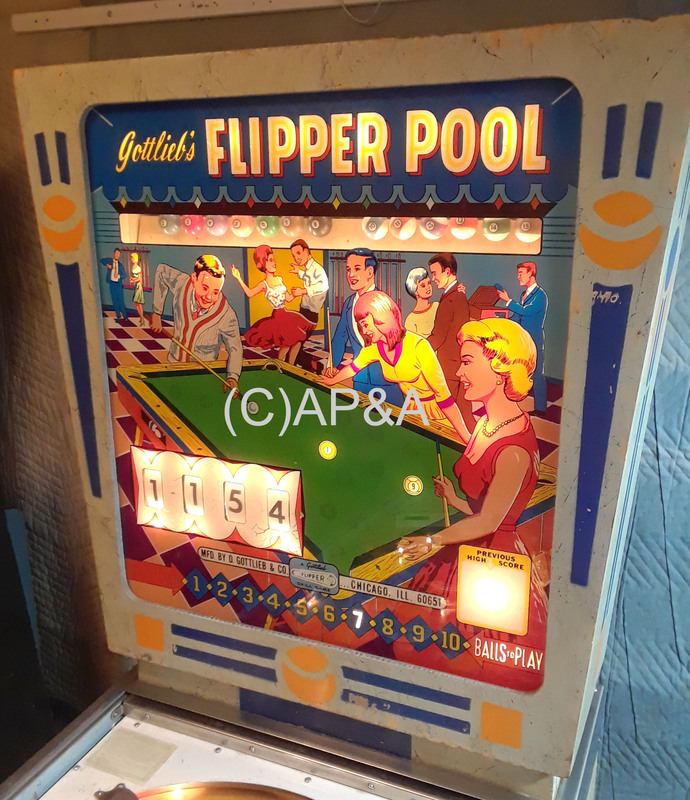 Add-a-ball play with backglass animation- watch the pool balls drop down as you hit and score targets on the playfield! 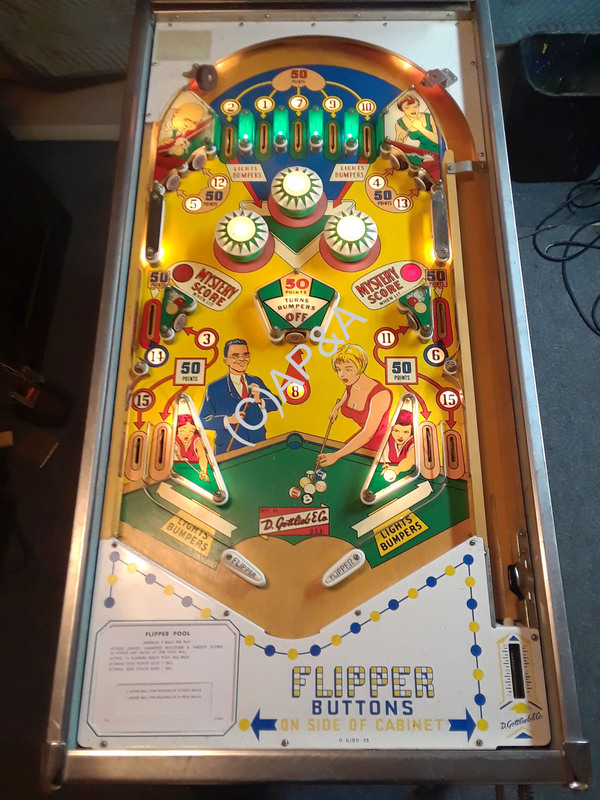 Lots of fast, fun, playfield action including 3 pop bumpers, slingshot bumpers, and one of the first pinball games to feature outlanes and flipper return lanes. 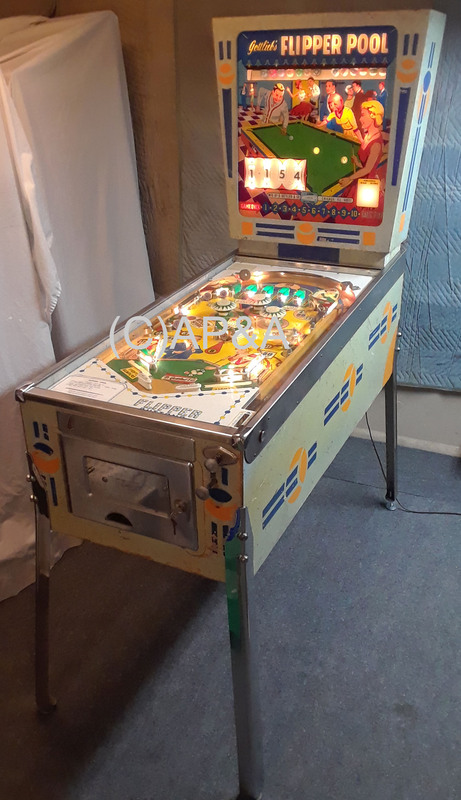 Playfield in outstanding condition with very minimal signs of use. No wear spots where ink has been worn away to the wood like most high-mileage games typically have. 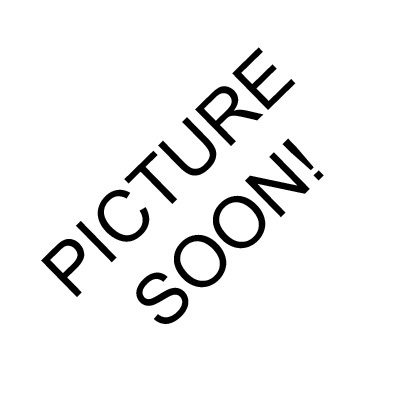 Plastics are all in excellent condition with no cracks or breaks. Pop bumper caps have some fading to the lettering on top, but can be replaced with reproducitons if a future owner so desires. Flippers are strong. All new rubber rings and bumpers installed. Backglass is in very good condition with minimal signs of age. Some cracking of the ink is present in the white area around the score reel windows, and there are some very small nicks/blemishes here and there elsewhere on the glass from normal use & age. 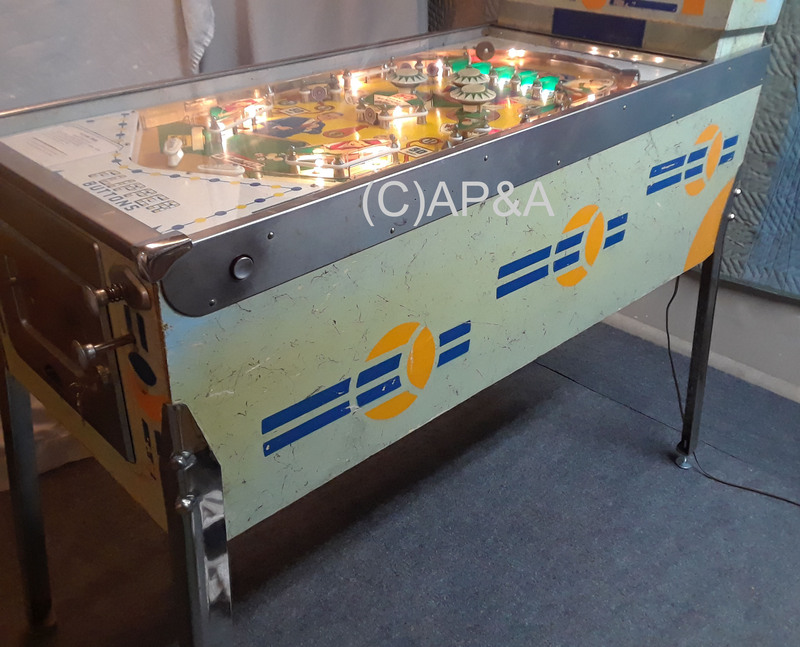 Two of the pool balls in the backbox were missing when we acquired this game, and have been replaced with similar-looking parts to make the mechanism complete. 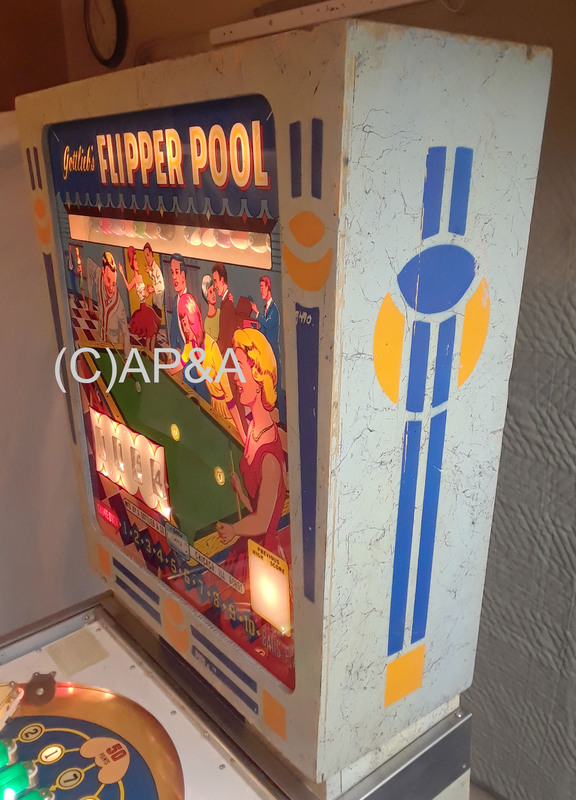 Cabinet and backbox are in average condition for an older game- unrestored, and have some spots where paint has been scratched or flaked off from age, and some overall fading of the original colors due to age. 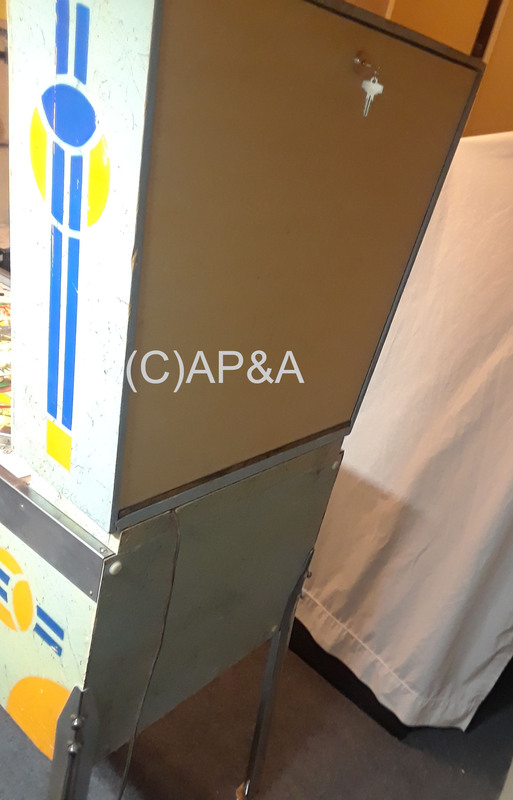 Structurally the cabinet is in excellent condition and would be a great candidate for paint restoration if a future owner so desired. 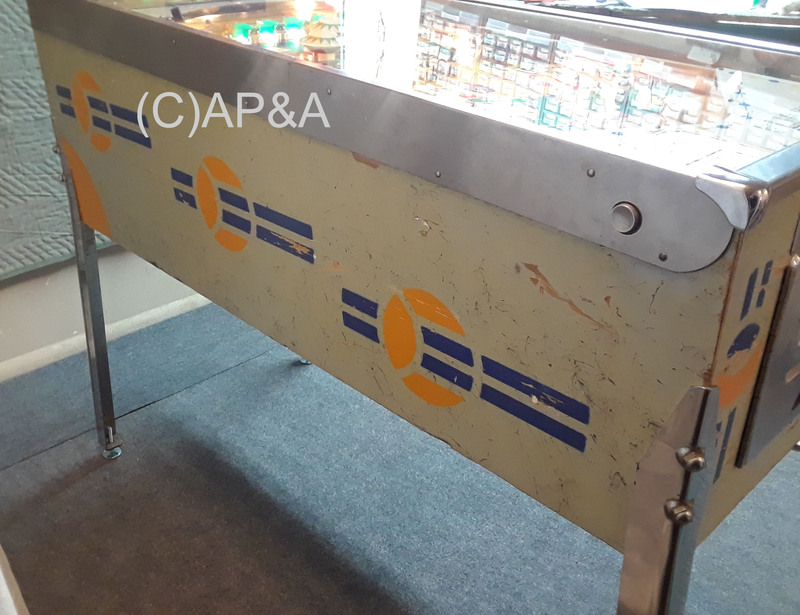 Cabinet metal (side rails, lockdown bar, legs, coin door parts) are in average condition with some signs of age but no major damage. Backbox rear panel door has been lost over the years and was replaced in our shop with a wood panel and new lock. Cabinet interior is generally clean and internal parts in good/average condition. 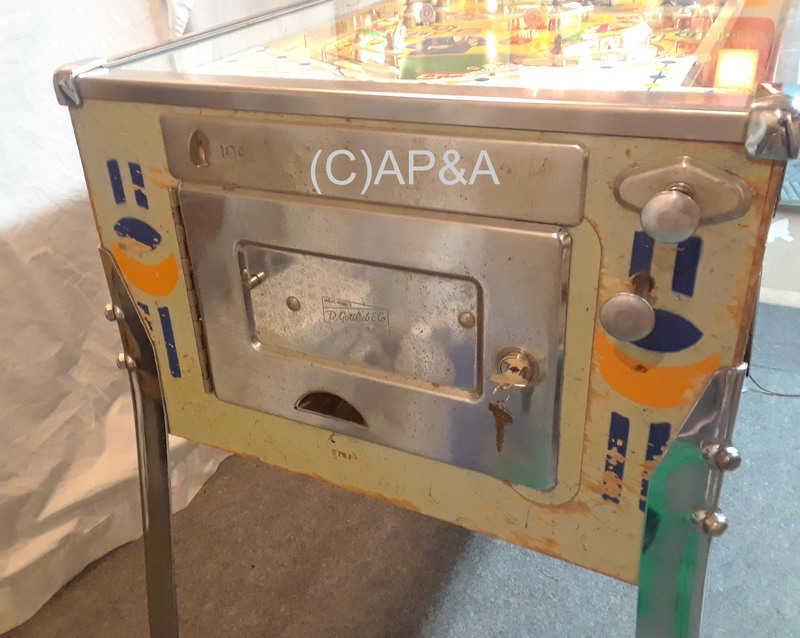 Game is sold in full working condition, but continued operation is not guaranteed due to older age and general mechanical nature of this antique game. 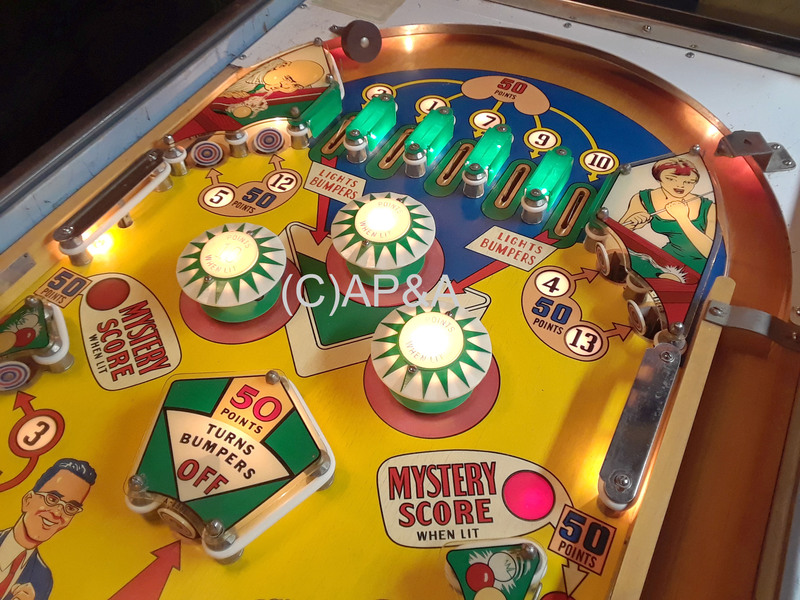 A future owner should expect to have to make periodic adjustments and minor repairs to this antique mechanical pinball, as time goes on, to keep it operating correctly. 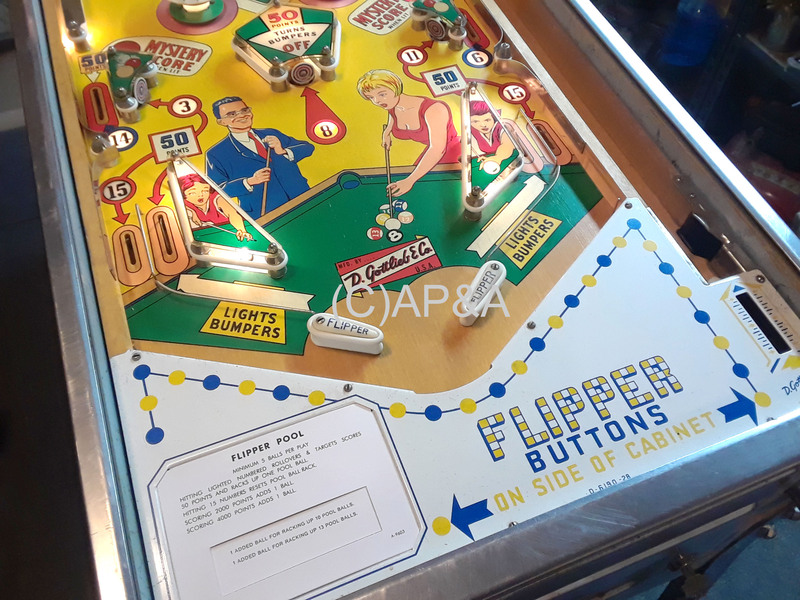 Game has been set up for free play operation- no coins required (press coin reject button to start play). Includes schematic wiring diagram. This game is sold as-is with no warranty or service available after the sale. No returns/refunds/exchanges- all game sales are final.